With Autumn well and truly upon us it’s time to get more winter veg in the ground. 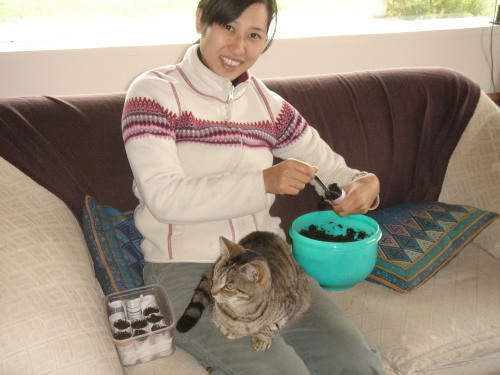 Aiko and Fizz the helpful gardening cat are filling planter pots for all the seedlings to come. 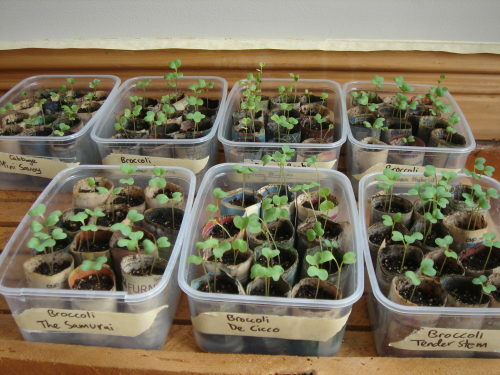 Some of the seedlings waiting to go out in the garden. 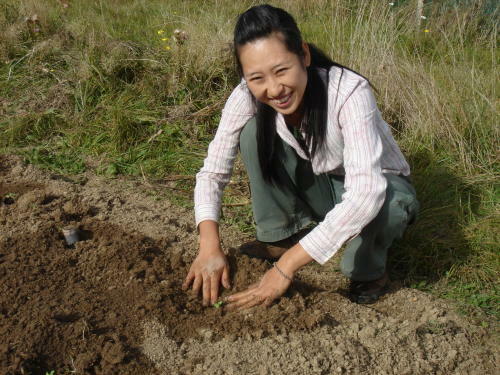 Aiko planting brassicas in the beds where the potatoes were. This is good crop rotation but also the potato beds were nicely turned over by the harvesting, leaving fine soil in the beds for the next crop. 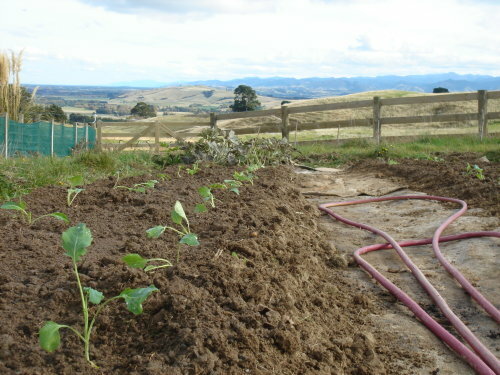 One of the beds full of broccoli, cabbage and cauliflower.